I talked to Carl today and the 31 Royale Victoria he has for sale is most of the body parts and frame, along with head lites, tail lites, and other chrome pieces. It does not have either of the running boards and is missing the entire Reo drive train including the rear end. 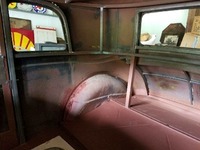 Carl's intention was to street rod the Victoria but his health is preventing him from finishing the project. Along with the car are 4 or 5 artillery wheels and hub caps he thinks are from a later model (maybe '33 or '34). The price is $18,000. A friend sent this to me. It is in the latest Hemming's Classic Car magazine. Interesting A.J., thanks! Is it a Royale article? Both upper drawings (the Royales), they show what John calls the buffeted trunk, but painted body color. John, I moved the victoria posts from the coupe thread to here. Victor, Not sure as it was just sent to me by email from a friend. There is an extensive article in the April 2016 issue of Hemmings Classic Car that covers this topic. They apparently had them in red, blue, sandstone and granite, among others, with a mottled effect for some of the colors. They were called the Color-Weld line of tires. Thanks A.J. for the information . It's in the April 2016 copy of Hemmings Classic Car. This is not Hemmings with the ads,, but their slick cover specialty magazine with the large Classic Car logo on the front. The article is on page 54 and is called "Walls Of Color." 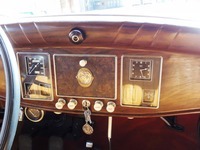 Carl's car began its life as a 8-35 Royale. 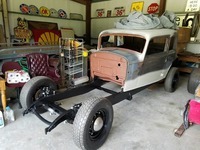 Now all that is Royale is the frame rail, body less the fenders. Is this a Royale or not. At best I think it is a street rod project using a Royale body. Here is one we don't have posted yet. Wow! Beautiful car, and in great shape. 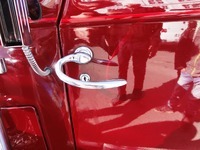 Is it known who owns it or what city is the car in? If you have any contact information, perphaps we could get him into the group. He could probably benefit from the sidemount cover project. 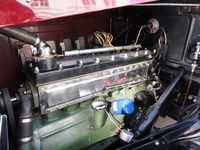 Set up by American motor industry entrepreneur, Ransom E. Olds-who went on to form a number of companies in the automobile industry, the REO Motor Car Company was based in Michigan and produced cars and lorries from 1905 until 1975. In 1897, Olds had founded the Olds Motor Vehicle Company, which later, as Oldsmobile, became part of General Motors, however Olds had left by 1905 and set up REO. 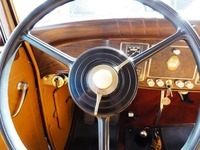 which, within two years had gross sales of $4.5 million making it one of the four wealthiest motorcar manufacturers in the U.S.
One of the finest examples still in existence this car, an REO 'Royale Victoria Coupé', has a fascinating Danish provenance. 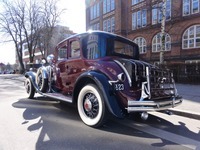 Imported to Denmark on the 14th April 1931 by its first owner, the German Consul Ludvig Wohlert, this distinctive car was to remain with him right through the war up until 1946. Under German occupation during the Second World War, Denmark was unique in retaining the King as Head of State, although King Christian was proudly defiant and often sought to upset Adolf Hitler in official correspondence. 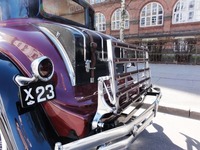 According to our vendor, the family Wohlert had close ties and a long-lasting friendship with the Danish Royal Family, and the car was used and driven by King Christian the Tenth, who was famous for his love of American luxury cars and once owned a Cadillac, when the royal family stayed at Marselisborg Palace in Aarhus, the location for this very auction. The Royale's second owner was Danish director Axel M. Jensen from Aarhus who looked after it until the mid-1960s. Our vendor, a distinguished Danish collector, took over the custodianship in 1981 and set upon a period of restoration works over the next five years. This particular car is fitted with a substantial 5.9-litre engine producing 125 horsepower, an automatic chassis lubricator, hydraulic brakes, a three-speed manual transmission, Ross steering gear, and a chrome luggage rack. It's one of only four Royale Sport Victoria Coupés believed left in Europe and is in good, running condition, having been regularly maintained, and our vendor states that "It's a delight to drive". The sliverstone auction Victoria did not sell with an estimate of 90k-110k U.S. Attached are the other pictures from the catalog color corrected and converted to post here. Pain in the neck . Looks like a nice older restoration. 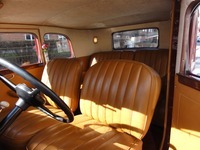 I know my car came with a doe-skin interior but could you get leather in any 8-35?